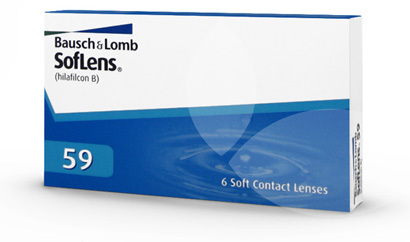 6 lenses per box @ $23.94 per box. Minimum order 2 boxes (six months' supply). Made from a time-tested, protein-resistant material, Bausch & Lomb's Soflens 59 combines excellent performance, comfort and visual acuity with easy handling and affordability.